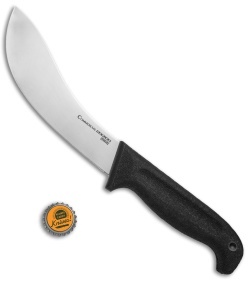 This Commercial Series Big Country Skinner Knife has an up-swept skinner blade in a satin finish with a black Kray-Ex handle. 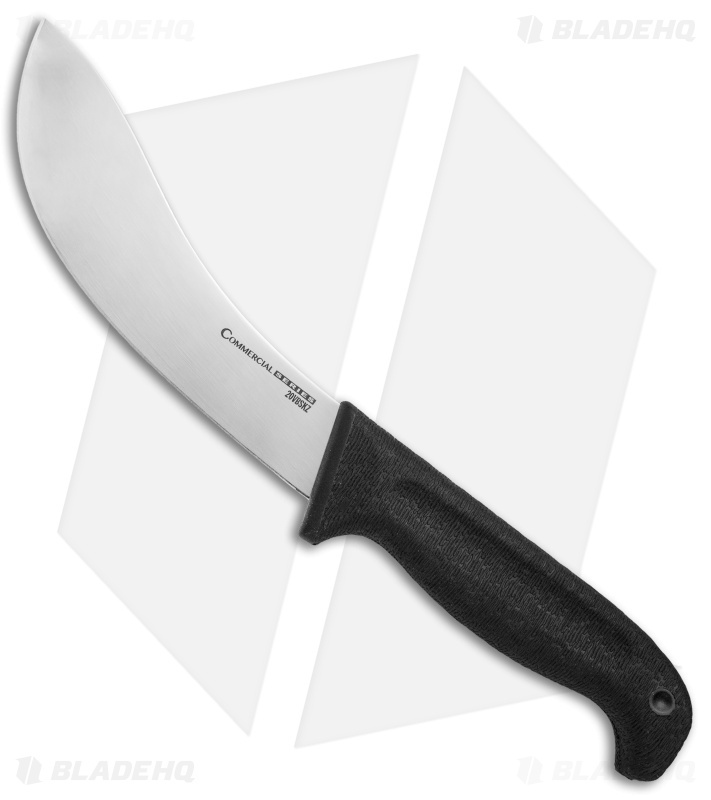 Cold Steel's Commercial Series was created to provide affordable kitchen cutlery for professional butchers, fishermen, hunters, and chefs. The blades on these knives are made from cryo-quenched 4116 German steel that offers a high performance edge for easy sharpening and maintenance in the field. 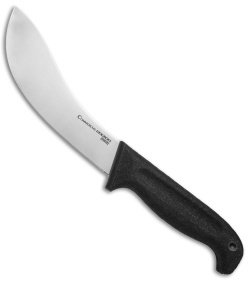 A stiff Zy-Ex core solidifies the handle design with a food-safe Kray-Ex outer layer for improved grip comfort. Easily manage any kitchen cutting chore with the Commercial Series Big Country Skinner Knife. 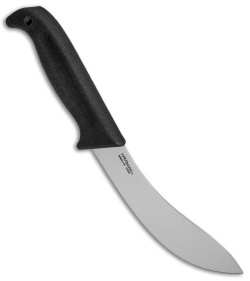 Large up-swept blade with a skinner belly for precise blade control.